We offer you laser vision correction of short-sightedness, long-sightedness and astigmatism with the only femtosecond laser in Bulgaria – InterLase and the newest Visx S4 IR. The iLASIK procedure is the result of a decade of technical improvement. It combines all latest laser technologies in one efficient procedure. No need to wait – iLASIK has achieved perfection! 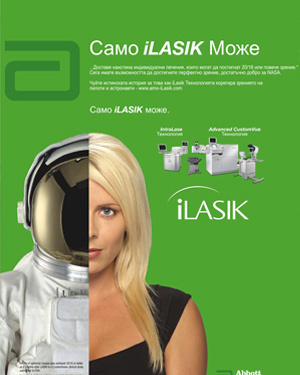 There is no secret about it… You have listened to thousands of adverts about thousands of things but only iLASIK is a procedure which guarantees an exceptional result – an integrated technological solution, offering an easy way for your vision improvement. For you personally… the iLASIK procedure is truly individualized. Everything is consistent with the individual features of your vision. Because you are of primary importance for us! A lot of people have successfully had LASIK, but as many as 10 times that number, are appropriate candidates that are waiting. Some people are waiting because they do not think they can afford it. Others are unaware of the total safety of the procedure. But most people are waiting for lack of information. You go through a detailed examination from your doctor. a. Special drops will be administered to you so you will not feel anything. b. This flap enables the surgeon to perform the correction. 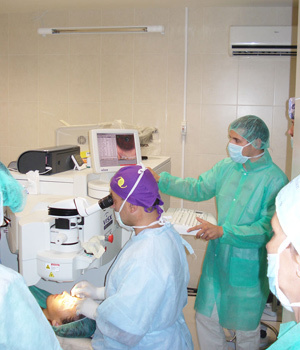 A second laser is used to make the correction to your cornea based on your eye blueprint taken earlier. a. This correction is completely computer guided. b. It is safe and entirely painless. You can have excellent vision without spectacles or contact lenses. Who is an appropriate candidate for iLASIK? Actually, the majority of people who answer the requirements for age and good health are appropriate candidates for the iLASIK procedure. Unfortunately, a lot of people have no idea what LASIK is and what makes someone a good candidate. Naturally, there are some conditions that exclude certain patients, but if you have short-sightedness, long-sightedness or astigmatism, there are good chances that you are an appropriate candidate for the iLASIK procedure. To make it simple: if you meet the main criteria below, immediately contact us! Your vision has been normal for a year now. You have no eye diseases. You are in full conscience during the whole procedure. Special drops will be administered to your eyes and aside from little pressure you will not feel anything. Usually both eyes are treated at one and the same day. 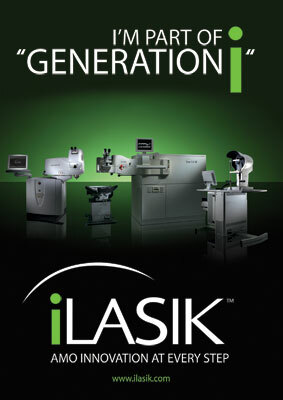 The iLASIK procedure takes 10 minutes per eye. Results may vary. 98% of all short-sighted patients can see 20/20 or better a year after the procedure. Are there any risks? LASIK or Contact lenses? The iLasik procedure is not without risk but wearing contact lenses is not either. Contacts take time and daily attention so as to keep them clean and avoid infections. Infections can occur and considering the risk, trouble and lifetime expenses on contacts, perhaps it is time to think seriously about an iLASIK procedure. iLASIK is an elective procedure with other alternatives such as spectacles, RPK, standard LASIK and other refractive surgical procedures. Only an ophthalmologist trained in lasers (Dr. Plamen Hubanov) can decide if you are a candidate appropriate for the procedure. As with all surgical procedures there are certain risks. It is important to discuss with you doctor any risks and all questions concerning the procedure.